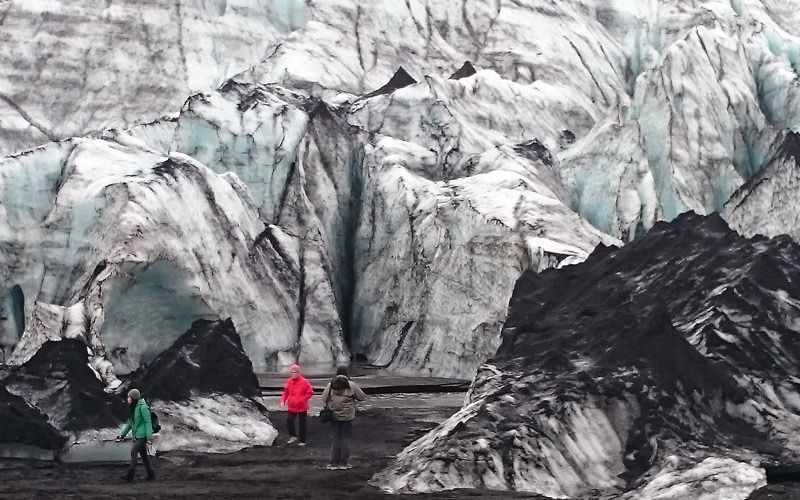 Glacier lagoon and South coast guided private day tour on luxury SUV 4×4 for families, small groups and individuals. Duration: 14 hours. Optional: Boat trip on the lagoon with Zodiac 1 hour or Amphibious boat 40 minutes. 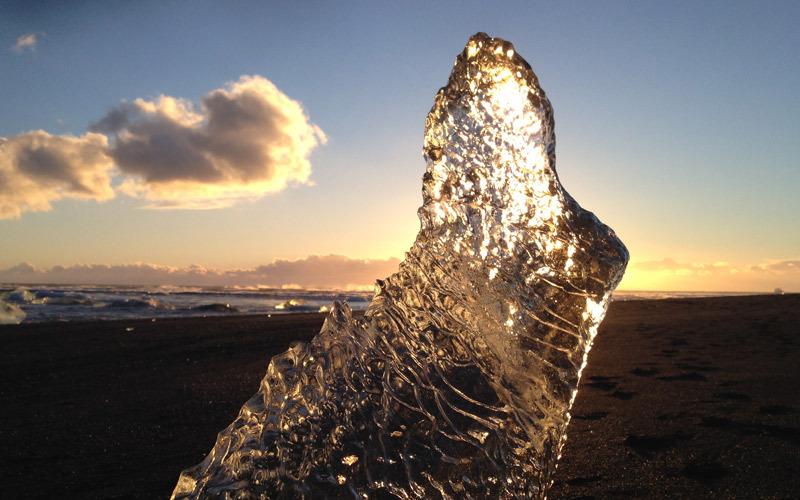 The Glacier lagoon tour takes us along the beautiful south coast of Iceland to the amazing Glacier Lagoon, Jokulsarlon. 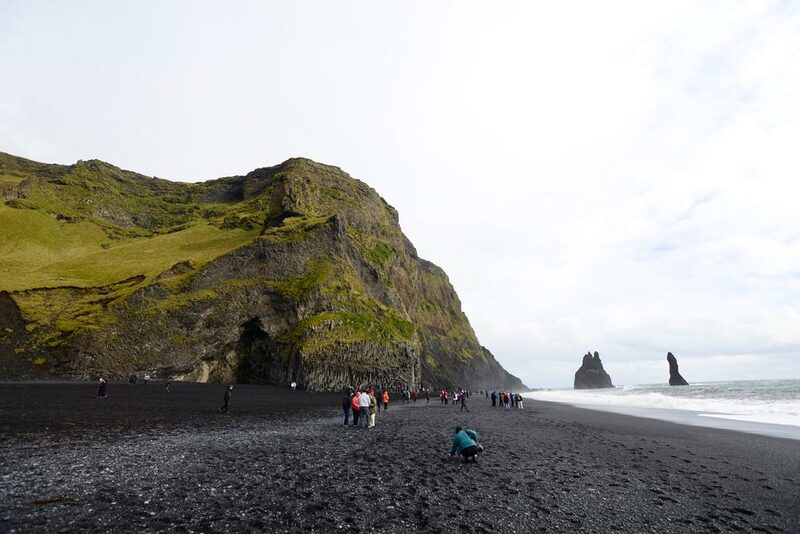 During this tour we will guide you through the geology and volcanic activities in Iceland, you will know the stories about the biggest eruptions in Icelandic history. We will tell you all folklore stories about elves and trolls which were kept in the hearts of Icelanders for centuries. This tour will give you a lot of photographic opportunities, so please make sure that your camera is charged. 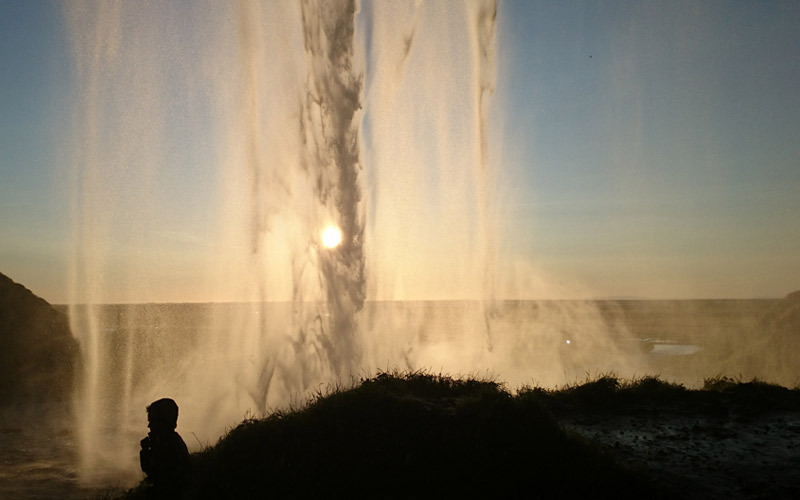 On our way, we will drive alongside Eyjafjallajokull and Katla-Myrdalsjokull glaciers. 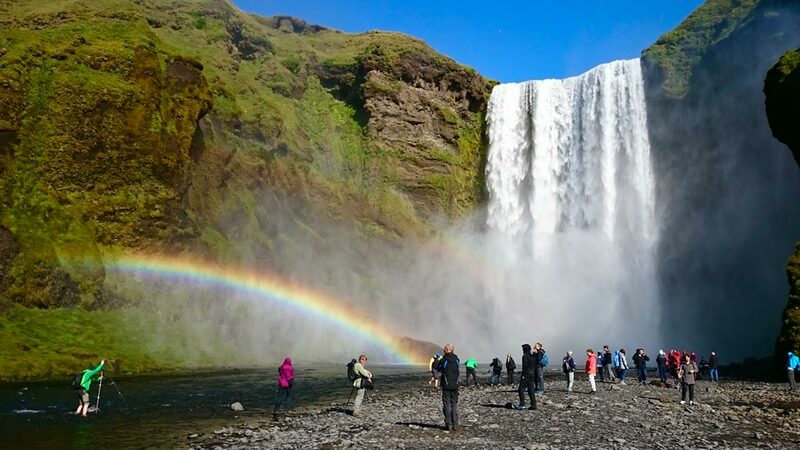 We will pass charming villages of Vik and Kirkjubaejarklaustur as well as Skaftafell National Park and we will visit Seljalandsfoss and Skogafoss waterfalls. Just before we reach the lagoon we will pass Iceland’s biggest volcano, Oraefajokull glacier which has the highest peak of the island, Hvannadalshnjukur (2110 m). 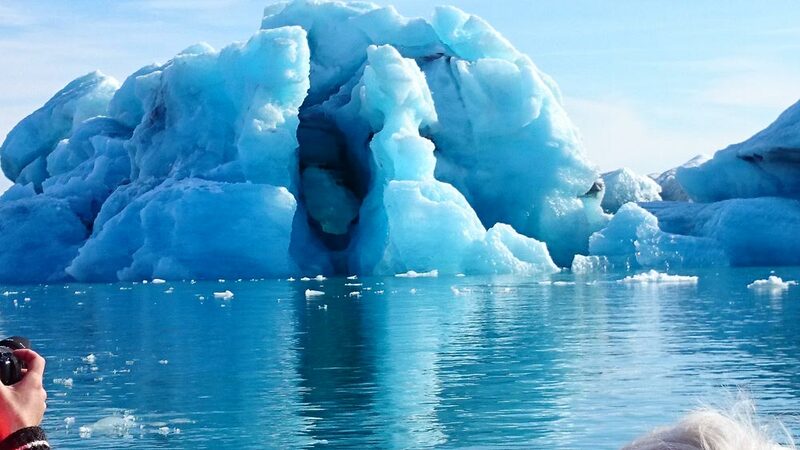 After we arrive at the lagoon we have some time to view this stunning area before we take a boat tour among stunning Icebergs. The boat which takes us is capable of driving short distances on land and sail on the water. 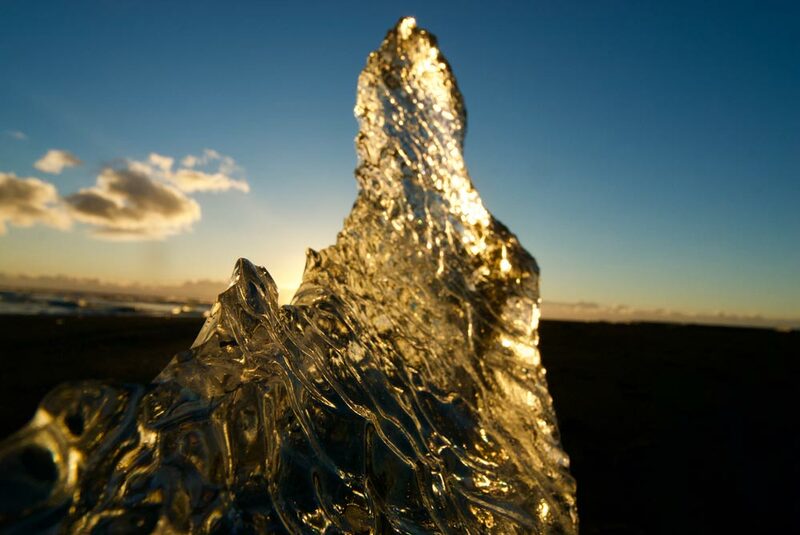 Jokulsarlon started to form in the early 1920s and is getting bigger every year. 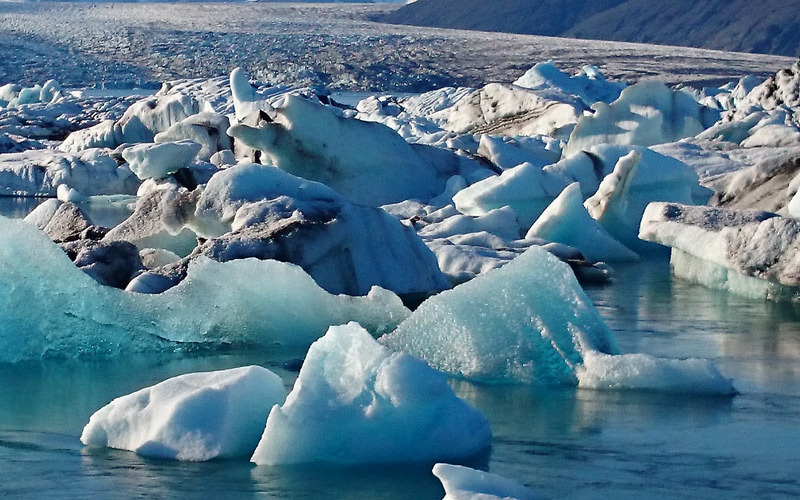 You will see many amazing blocks of ice that have broken from Europe’s biggest glacier, Vatnajokull as they float slowly towards the ocean which is only a kilometre away. 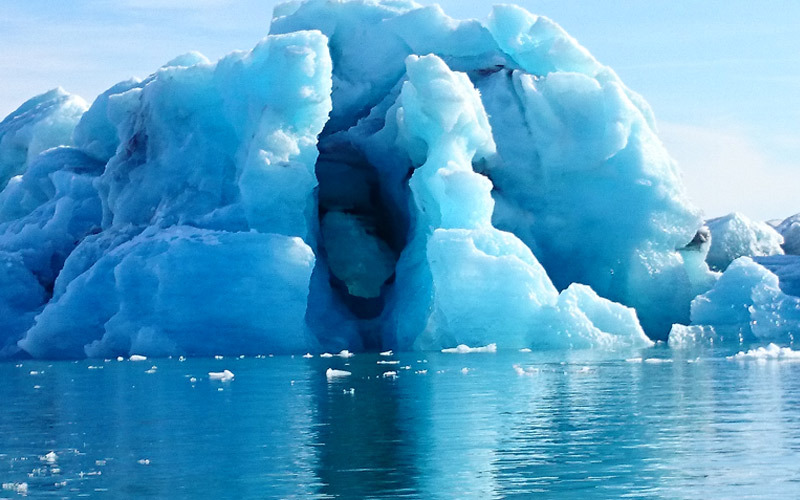 We also visit the breathtaking Diamond beach where many of the smaller icebergs have stranded on the shore. After a refreshing boat tour on the glacier lagoon, (if you wish and when it is available) we will head back to Reykjavik.